Same problem as Canastel ...but no succeed? .There are 19 files in my interface folder. 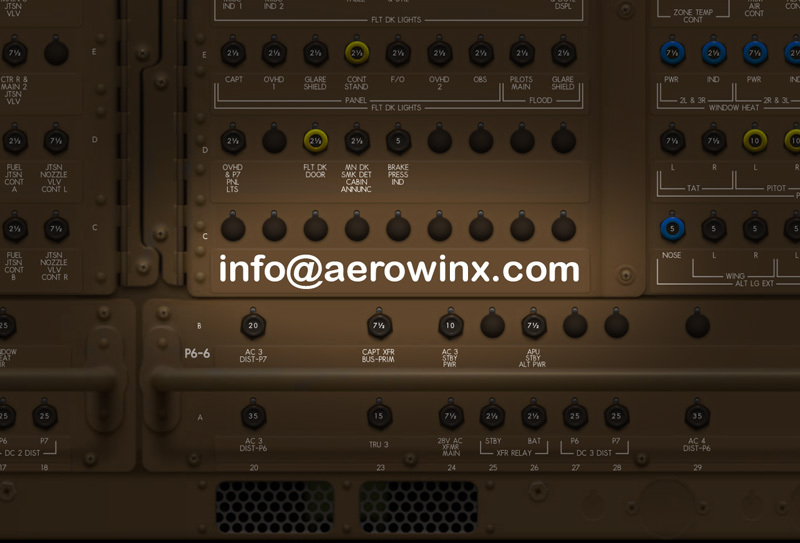 To start PSX I always double click "AerowinxStart .Jar"
My JAVA version is 8 updte 25...Must I change it to update 45 ? the new interfaces are for 10.0.4 only. You have 10.0.2. You need to install 10.0.4. That's the latest and best version anyway. Thank you HARDY for answer . How do you overwrite the old Aerowinx.jar files in the network by the downloaded Aerowinxjar ? It's a stupid question but I think that's why I didn't succeed to download version 10.0.3...And I don't remember how I did for version 10.0.2..
1. Move the mouse pointer over the icon of the downloaded Aerowinx.jar file. 2. Hold the left mouse button. 3. Hold the ALT key on the keyboard. 4. Drag the icon to your desired Aerowinx folder displayed in another Finder window (a folder on the local Mac, or on a remote computer). 6. Release the ALT key. 7. When the Mac asks "Replace"?, click on "Replace". Please install PSX 10.0.4, not an older version. tonight I have the same problem as the other people here. I am using 10.0.4 and the loading is stucked at 31%. Yesterday evening, it was working normally as usual (same version 10.0.4), and I did some approach training. But tonight, impossible to start. I tried updating windows 7 but same problem. My Java seems to be V8 update 31. That must me a problem with my Mac ...I shall phone Apple on Monday..
Stephane, maybe you changed something inadvertantly, or you inadvertantly started a different PSX setup from a different shortcut or something? Danpil, I'm sure your Mac is OK. Please describe what you are doing exactly step by step. 4./on my desk , I Have a blue AEROWINX FOLDER . I drag the icon downloaded AEROWINX-13.jar in this FOLDER ,release the mouse button and AEROWINX-13.jar goes AS FAST in blue AEROWINX . I release alt key :nothing : I have 2 .jar in AEROWINX :Aerowinx.jar and AEROWINX-13.jar. I try to put the older INTERFACES in AEROWINX to use PSX with version 10.0.2 ...but unable to recover it ! Can you give me the way or send me it ...because I will like to enjoy PSX this weekend. It looks like you've downloaded the 1.0.4 update 12 times and Safari has appended -13 to the name of the jar. You need to rename the file to aerowinx.jar and over write the original one. I finally found the problem. My Norton has put a dll file (lwjgl.dll) in quarantine with a WS.reputation alert. I have put the file back in the interfaces directory and everything is back to normal. Maybe this could help someone else with the same problem.